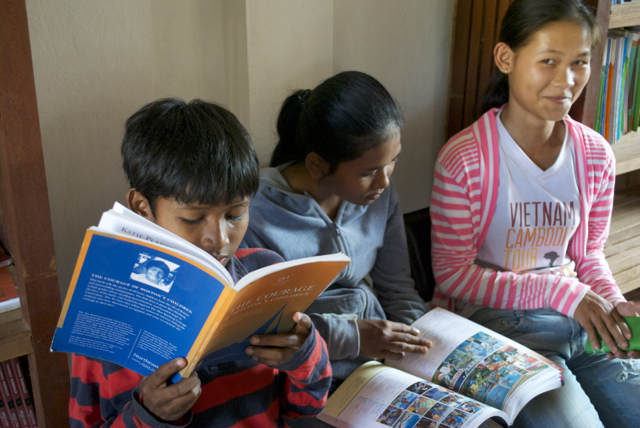 In 2014 we delivered many donations from our network of loyal supporters: computers, library books, bikes for Max Warburg Courage Curriculum Essay Winners, sports equipment, school supplies and gifts for teachers. Please see the Donation News page for more information on these donations, including the two computers given by High School senior, Ella Williams. 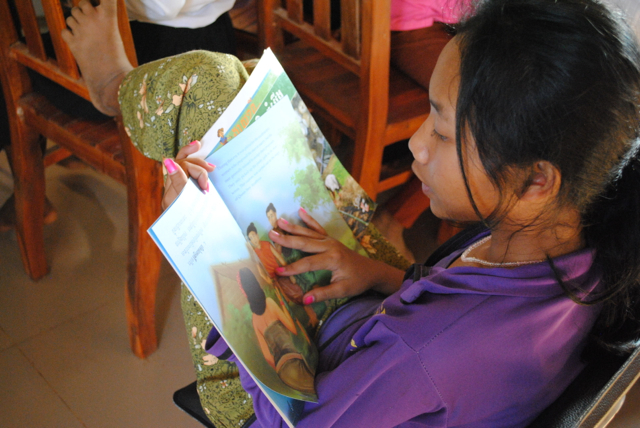 It was a heart-warming visit, especially to see so many students enjoying the library donated by We Are the World Kids and the new books provided by Boston students who wrote a successful grant proposal for these funds. Our students are ever so grateful for this educational exchange. There are 178 students in our middle school (grades 7-9) and more than half of them are girls. 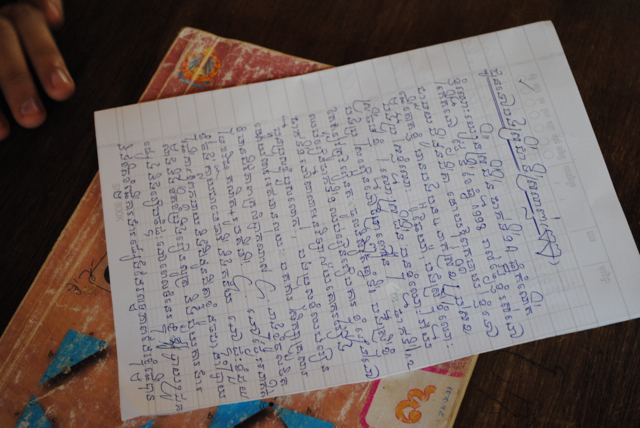 Ever wonder what the Khmer language looks like? We are fortunate to have such an excellent teacher, Mrs. Phala Ol, heading up our technology and English language curriculum. We made a surprise visit to our former students who are now in High School. Thank you for helping us spread the joy! Click here to learn more about how to help us purchase two new computers.